Presses the left key and the right key moves the label order, "Service items"(first),"ITCI and luggage check-in service"(second),"Luggage storage area"(third),"Flight information display system"(fourth). In-Town Check-In (ITCI) is a convenient value-added service offered to airline customers. The concept here is to extend the airline check-in counter from the airport to town. Passengers can check-in their luggage, choose their seat, and obtain their boarding pass at as early as the A1 Taipei Main Station. The following international airport transportation systems provide ITCI service: Air Railroad Express of Incheon International Airport, Airport Express of Hong Kong International Airport, and Express Rail Link of Kuala Lumpur International Airport. Taoyuan Airport MRT will also join the ITCI system, a symbol of a nation’s advancement. ITCI service enables airline passengers to check in at MRT stations in town in advance, choose their seat, and arrange their trip according to their personal need. There is no need to bring all their luggage with them while visiting the city, going shopping, having business meetings, or going sightseeing. 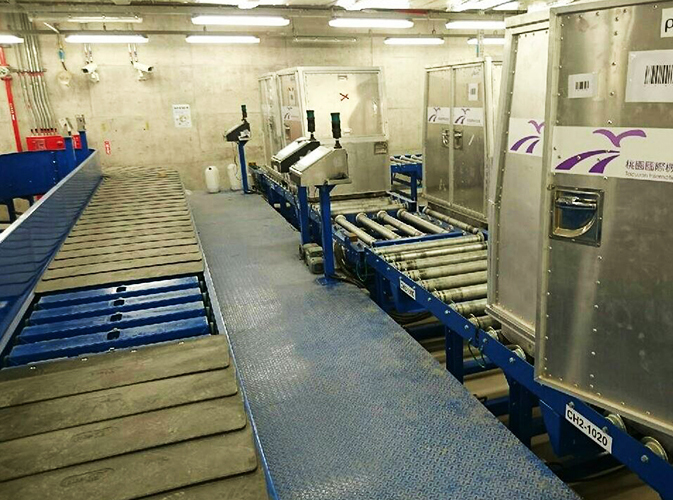 For airport MRT management, ITCI service effectively improves the service quality of the MRT system so the airport MRT can be more competitive with other land transportation. That is, more airline passengers will be attracted to use the airport MRT, and the Company can make more profit from MRT operations. For airlines, providing ITCI service will attract more customers to choose their airlines for traveling. ITCI service reduces crowdedness at airport check-in counters and delays the need for airport terminal expansion or new construction. In addition, it extends airport terminals to the city centre. For government agencies, ITCI service symbolizes the advancement of a city and improves the service quality of public transportation. Furthermore, if the airport MRT can attract an adequate number of airline passengers, time losses because of traffic congestion at highways can be alleviated while fuel consumption, air pollution, and other social costs can be reduced. 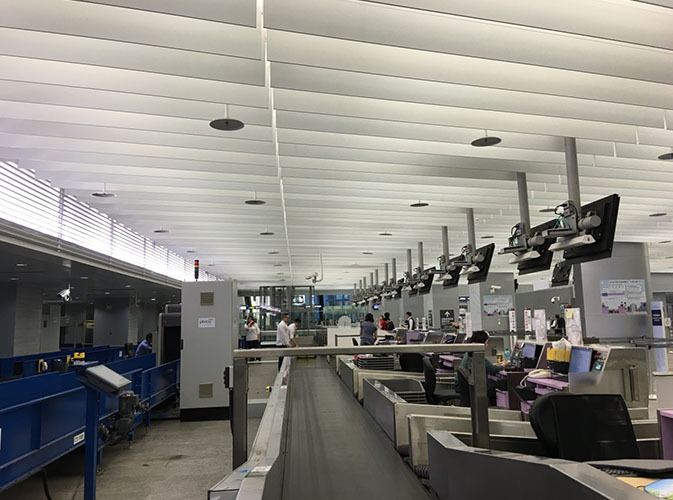 At the back of the ITCI service counter there is the luggage conveyor belt and the X-ray system. 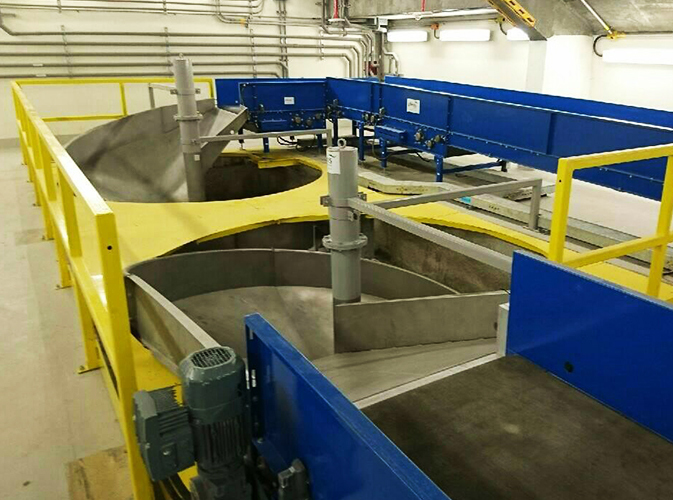 A conveyor belt and a spiral chute on B2 level of A1 Station. 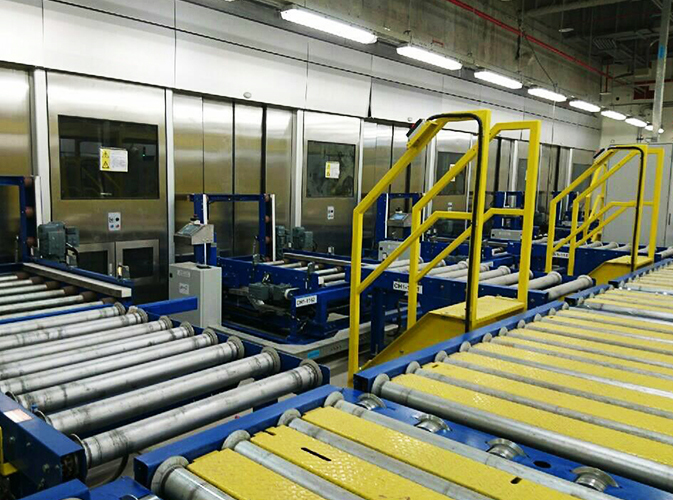 Luggage carousels, roller conveyors, and luggage lockers at the luggage area on B3 level of A1 station. Luggage roller conveyor and luggage platform gate at the luggage platform on B3 level of A1 station. 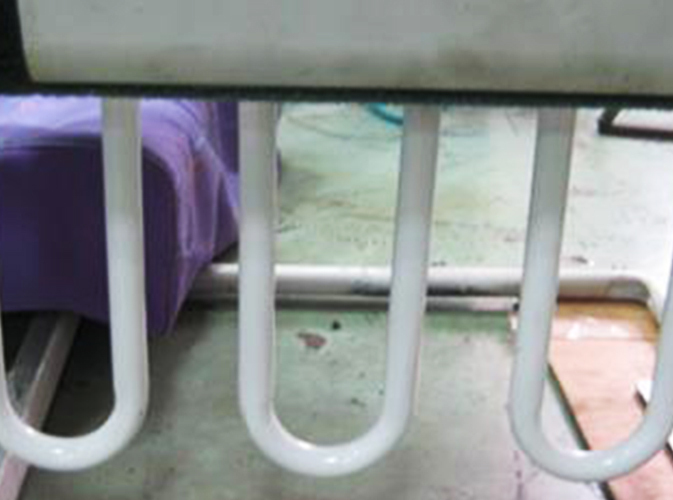 On each car of the Taoyuan Airport MRT Express Train, there are three luggage racks for passengers’ luggage. 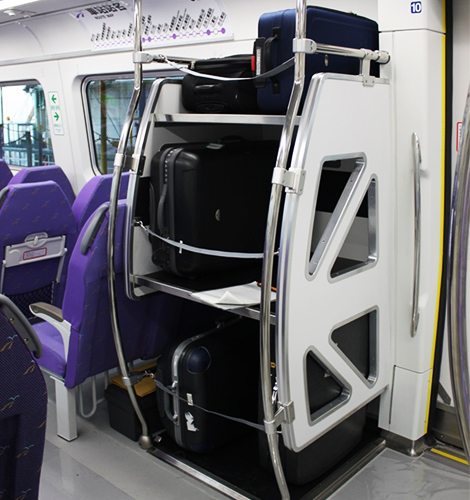 Passengers can also put their luggage under the seat in each car of the Taoyuan Airport MRT Express Train. 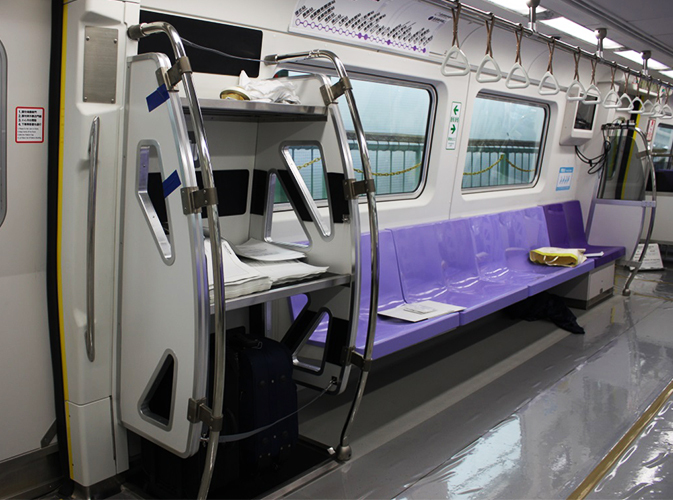 On each car of the commuter train, there are two luggage racks for passengers’ luggage. Service: Flight information display system The system shows passengers the flight arrival and departure times as well as information on trains of Taiwan High Speed Rail and Taiwan Railway. 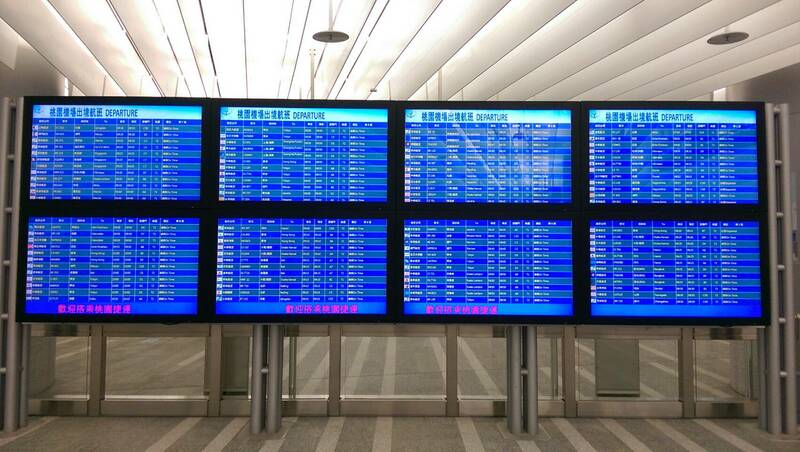 All changes in information are immediately reflected on the display system to keep passengers well updated. For Taoyuan Airport MRT Express Train, there are a total of six stations: A1, A3, A8, A12, A13, and A18.